Could you send me or steer me in the direction of books or illustrations on the “Monkey fist” knot? CB says: I get a lot of questions on fancy knot-tying and advanced marlinspike. Let me direct you, and others who are interested in some really comprehensive rope work, to “Ashleys Book of Knots”. It is a little expensive to buy (I think about $60.00), but you should be able to find a copy at your local library. Good luck on your “monkey fist”. They are fun to tie, and work great on the end of a heaving line. Try tying one around a round floating object, like a rubber ball…just in case you miss on the first heave and you are around rigging or other underwater obstructions. Dear Commander Bob: Greetings from a fan at Coast Guard Group Milwaukee! Great job on such a fine web page. I showed your “On Patrol” in July ’96 to a few of the gang here in operations. It is VERY professional and it is clear that you take enormous pride in being a member of Team Coast Guard! Keep up the fine work and I’ll look forward to seeing more. CB says: Wow! What a great compliment to the page, Steve. You show your own dedication to duty by taking your leisure time (which I know is very precious to you) to surf the internet to see what recreational boaters are thinking about. Knowing and working with pros like YOU are precisely why I’m proud to be a member of Team Coast Guard! Calm seas, Steve. Commander Bob: I have a little game that I play on board my ship. We try to stump each other with old nautical terminology; however, a few of the boys really have me. They asked me to tie a “water knot.” I thought that that would be any type of knot that one could use where it doesn’t tighten over itself or slip tie one that was possibly used to hoist water barrels aboard in the old days; however they tell me I am wrong. DEAR COMMANDER BOB: I HAVE A QUESTION ON SAFETY AND REGULATIONS ON PWC’s WAKE JUMPING BEHIND MY SKIER’S AND KNEE BOARDERS, WHOM THEMSELVES ARE 75 FEET BEHIND MY BOAT. I LIVE IN ANN ARBOR, MICHIGAN AND IT SEEMS TO BE AN INCREASING PROBLEM FROM SEASON TO SEASON. CB Says: Although PWC wake jumping is a dangerous practice, it is difficult to find a statute that prohibits it specifically. But, there are plenty of statutes in most states that DO prohibit a PWC from operating within a certain distance (usually 100 feet) of another boat towing a skier, of the tow rope itself, and of the skiier being towed. 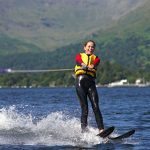 If that statute or one like it exists in Michigan, it means that it would be illegal to jump wakes within 100 feet of a skiier or knee boarder. Enforcement is a growing challenge, with too few officers to enforce regulations on an exploding PWC population. My suggestion is to take the number of the PWC and report it to authorities. It is a growing problem everywhere. Good luck, safe boating, and thanks for the good question. Dear Commander Bob: Thank you for providing great information and boating tips. Your page is excellent. I live near Ottawa (Canada) and have been boating since birth. I usually launch from the Ottawa River, which gives access to the St-Laurence Seaway due east and the Rideau Canal System southwest to Lake Ontario. I love to navigate the canal systems and meeting fellow boaters. How about adding some tips on properly navigating through lock stations? CB says: Thanks for the nice words about the page! Commander Bob tends the locks here in Madison, Wisconsin, on a fill-in basis, and has extensive experience in locking through on various waterways. So I like your idea, and think it’s worthy of space in the “Hints and Tips” page. In fact, if you go there now, you’ll see it. Thanks for the good idea and the complimentary remarks about the page. Commander Bob: I would like to incorporate some of your valuable information about boating safety in our safety newsletter. I came to the part about “Rules of the Road” where you used the term “Colregs.” Could you tell me how this term arose? CB says: Sure. To start with, the old term “Rules of the Road” has given way to the term “Navigation Rules”, or “NavRules” for short. “ColRegs” is a contraction for the International Regulations for Preventing of Collisions at Sea, or in short “Collision Regulations”. ColRegs and NavRules (and previously, “Rules of the Road”) are all the same thing and refer to the same document. Dear Commander Bob: I was recently in a situation with my boat (23′ powerboat) when an unavoidable storm kicked up over us….the storm isn’t what I was concerned about…it was the lightning….is there any particular saftey methods that should be observed when boating through a lightning storm??? CB says: Volumes have been written about lightning and “cones of protection” generated by lightning masts and proper bonding to the water. Because of the erratic nature and unpredictability of lightning effects, even the experts can’t seem to agree on the best way to protect you and your boat. Since the basic purpose of lightning protection is safety for people, everyone on board should (1) stay inside a closed boat as much as possible during an electrical storm, (2) avoid making contact with an item connected to a lightning protective conductor, and especially in a way that bridges two parts of the grounding system. For example, do not touch both the reverse lever and the spotlight control at the same time, and (3) stay out of the water completely, and that means hands and feet, too. The ABYC (American Boat and Yacht Council) has a publication, Safety Sandard E-4,which covers the subject of lightning for small craft. Dear Cmdr Bob: What is the proper method for disposing of outdated signal devices? The specific items are a set of “Skyblazer” hand launched aerial flares. Their expiration date was 1994. Thanks. CB says: I think that most local fire departments would agree to dispose of them for you. But frankly, most of the boaters I know store recently outdated VDS’s on board in safe containers, just to supplement their current ones and to give themselves more “firepower” in the event of an emergency. Outdated visual distress signals are not necessarily more dangerous than current dated VDS’s if handled properly and according to instructions on the device….they just may not be as dependable. I wouldn’t bet my life on outdated flares, but in an emergency I’ll be glad I’ve got extras on board, outdated or not. I can’t recommend that you keep outdated VDS’s on board, however, so in answer to your original question, I’d call your local fire department and seek their advice on disposal. Dear Commander Bob: I am the Editor of the newsletter for the Somerset Power Squadron in Somerset County NJ. Last week I stumbled upon your safety pages on the net. I used your safety check list (with all due credits of course) for part of our (newletter) safety section. Bob, I just wanted to thank you. You seem to be the only site on the internet that’s almost entirely devoted to boating safety. I was wondering if I could start an official “Commander Bob” column in our Somerset Newsletter “Port O’ Call”? In it we would download quartlerly bits of wisdom from your net page. We could also direct members to your site for additional information. We would only do this with your permission, of course. Thanks again. CB says: I created the page to help educate boaters on boating safety. If you can use any of the information on these pages to further that mission, feel free to use the information however you wish. And thanks a million for the compliment on the page! Dear Bob: What’s the proper way to establish radio communications with, say a marina, to check my radio, get docking info, etc.? I’ve read that initiating a request on Channel 16 is appropriate (requesting to switch to another channel). How is this typically done, using proper radio etiquette? CB says: The procedure you outlined above is fine for calling a marina for information, etc. You first listen on VHF channel 16 to make sure your call is not going to interfere with another call. Then you say the name of the station you’re calling three times in succession, followed by “this is (the name of your boat and call sign)”. When they answer you, ask them to meet you on a working channel for the information you need. However, there is a different “proper” procedure for a radio check. You should start by monitoring a working channel and listen for a conversation between two stations. When they end their transmission with “out”, immediately call one of them by name three times in succession, finishing with your boat name and call sign. When they respond, ask them how they read your transmission, thank them, and sign off by again giving your boat name and call sign, followed by the proword “out”. If you can find no conversations to monitor on any of the working channels, and feel it is “imperative” to request a check of your radio, then listen to channel 16, make sure that you will not interfere with any current radio traffic, and ask for a radio check. If someone responds, take them immediately to a working channel and free up channel 16. Two things to remember….the FCC prohibits requests for radio checks to Coast Guard stations unless you are a licensed FCC technician. Also, other than in an emergency situation, calls are always made to another radio station (boat) by name rather than just a general call for a radio check from “anybody who answers”. Great question….long answer. But you hit on a real concern of mine about the use of VHF Marine frequencies going the way of citizen’s band. We need more conscientious boaters like you if we are going to retain the emergency integrity of the VHF system. Nuff said. CB: Regards from Australia. I was very interested to note that you have so many accidents on the water each year. From USCG stats something like 4,500 injuries and 800 deaths. For the interest of your readers, they may like to know that we have a small $10.00 device available in Australia that instantly tells how to follow the Rules and avoid collisions. Makes the novice boater a professional in seconds. It is ideal for educating the newcomers to boating the correct rules and is great to carry on board. Your readers are free to e-mail me for more info at ktr@hunterlink.net.au. Keep up the good work, CB. CB says: Thanks, Peter. Readers need to know that I get lots of mail from commercial enterprises that want to advertise on my page, but I happen to know that this is an item sold by the Australian Royal Volunteer Coastal Patrol as a fund-raiser. This volunteer organization receives no government funding, I am told. Since this device appears to have a direct benefit to boating safety, I’ll let the viewers decide if they want to follow-up with you, Peter. Thanks for writing! Commander Bob: I felt that you deserved a big thanks for all the information provided on your boating safety page. My wife and I became boaters last year, after dreaming about owning a boat for many years. We live in Maryland and boat the Chesapeake Bay, and use the Bay as a thoroughfare to all the rivers and creeks. Just wanted you to know that your information has been invaluable and thanks for providing it to the public. We plan to take a Safety Course to sharpen our skills! CB says: Appreciate the nice comments about the page. 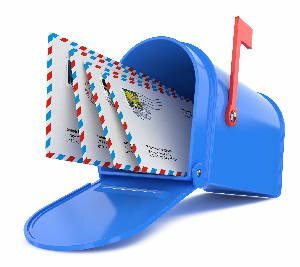 But the reason I’m printing your letter in the mailbag is that you epitomize to me the best of boating. 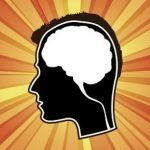 You had a dream, achieved it, and now balance your love of it with a sense of responsiblity toward your boat, crew, and passengers by seeking more education. I may have developed the page, but YOU and people like you are taking the time to read it and seek out additional information. Have a ton of fun as you skipper your “dreamboat”! To CB: Your page(s) look great! I also am a Past Commander (Charleston Power Squadron) and currently serving my second year as Flotilla Commander of Charleston (USCG Auxiliary) Flotilla 12-8, 7th District. In your Hints and Tips page, under built-in fuel tanks, would it help to clarify that before refueling, all door, windows, and hatches should be CLOSED, and then after refueling, the boat should be opened up and ventilated? CB says: Thanks, Commander! Your suggestion is a good one, and I have revised the wording to clarify that process accordingly. Dear Cdr Bob: Is it illegal to have beer on my boat? CB says: There may be a few states that have passed open bottle laws for boats similar to automobiles, but I don’t know of any. 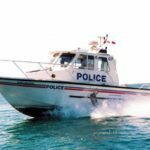 Since boating is still considered “recreational” in nature, tough alcohol laws are difficult to enact. However, you also need to know that in most states, if not all, you can be arrested for operating a boat under the influence of alcohol or drugs, just like in a car. And the penalties are just as severe. But don’t worry so much about being caught….worry more about what you’ll feel like if you hurt or kill somebody while under the influence. Dear Commander Bob: I’d like to take a boating course. Do you have them in our area? 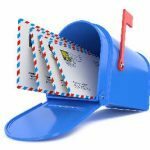 CB says: I can’t tell from your email where you live, but if you can find the name of a Coast Guard Auxiliary or Power Squadron unit in your area, call them. You might also want to call your state boating law enforcement agency (see the link below). If no luck finding a course through any of these groups, call the Boat/US Hotline at 1-800-336-BOAT. Good luck, and let me know how you make out. Hello, Commander Bob! I have been an active duty member of the U. S. Coast Guard for a little under 12 years. 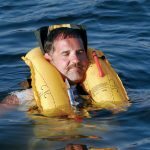 Being a Telecommunications Specialist, I have seen (or should I say “heard”) first hand the results of situations in which boaters have neglected to obtain good safety information prior to sailing. I was very happy to come upon your page on boating safety. Surprisingly, there are not many sites on the WWW that have this type information. FYI, I have been published a few times in Great Lakes Boating Magazine, with articles on overdue vessels, safe boating habits, and internet resources for recreational boaters (latest in the January 96 issue). Do you mind if I refer readers to your location? You are doing an excellent job informing boaters with tips and hints for safe boating practices. CB says: Thanks. It’s great hearing from a Coastie, and of course you can tell your readers, friends….even casual acquaintances about the page! And it’s great serving with you on Team Coast Guard! Dear CB: Is it true that one cup of vaporized gasoline is equivalent to 15 sticks of dynamite? CB says: Whoa! Why do you want to know?? You’re not one of these people I read about on the net that build things that go boom, are you? I’ve heard boating safety instructors make comments about how dangerous gasoline fumes are, and they have used examples like the one you just gave. 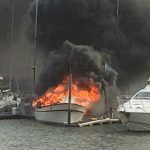 I haven’t used those kinds of comparisons, but I do know that if you smell gasoline fumes in your boat…take action immediately to ventilate or place yourself and your passengers out of harm’s way until you get it resolved. Gas fumes are not anything to trifle with. And while I’m on this subject, don’t spend a lot of time hanging around gas docks and pumps. Get your fuel and leave. Not only will you allow others in need of fuel to get to the dock, but a fuel dock is not the best place to just “hang around”. dear Bob: Is a compass useful on an inland lake? CB says: Good question. If your boating takes you out of sight of land for even a brief time, a compass is useful if not essential. Remember, fog, a heavy downpour, darkness, or just the size of the lake can cause you to lose sight of land. On smaller lakes, a simple hand-bearing compass would suffice to give you a heading or bearing. I would personally feel uncomfortable on any body of water without a compass and at least a simple chart of the area in which I’m boating. Cdr Bob: We are avid boaters and really like your page. But we wanted to print out the Hints and Tips page and came up blank. Is this on purpose, or because of the colors on the screen? CB says: Thanks for bring that to my attention. I think it WAS because of the color of the text. The scheme has now been revised so that you can print it and carry it with you on the boat. What a great idea, and thanks!